What is the Preference Laboratory? The Preference Laboratory at The Dartmouth Institute for Health Policy and Clinical Practice is a research group focused on developing tools and interventions to improve shared decision making (SDM) in health care. The team, led by Professor Glyn Elwyn, is motivated by the idea that empowering patients to be equal partners when making decisions about their health care is not only the right thing to do, it also leads to better outcomes. 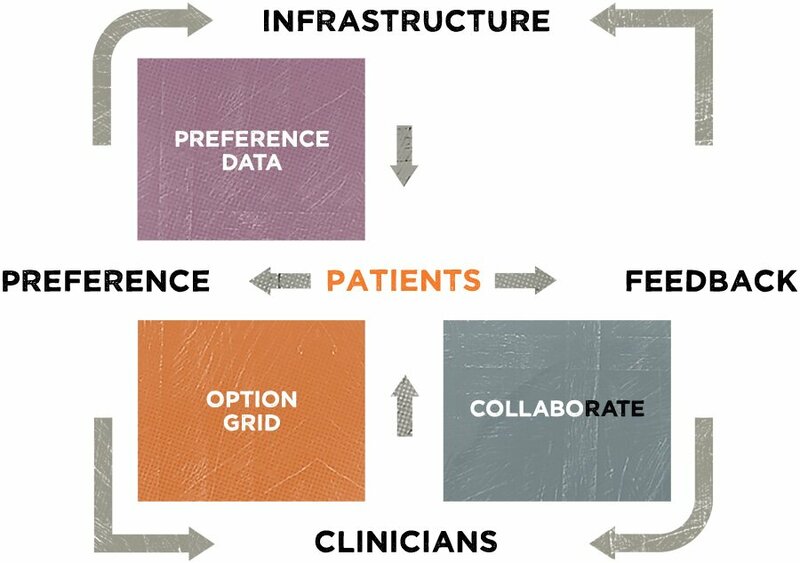 The process by which health care providers and patients make health decisions jointly, on the basis of evidence, clinical expertise, and patient preferences, is known as shared decision making. 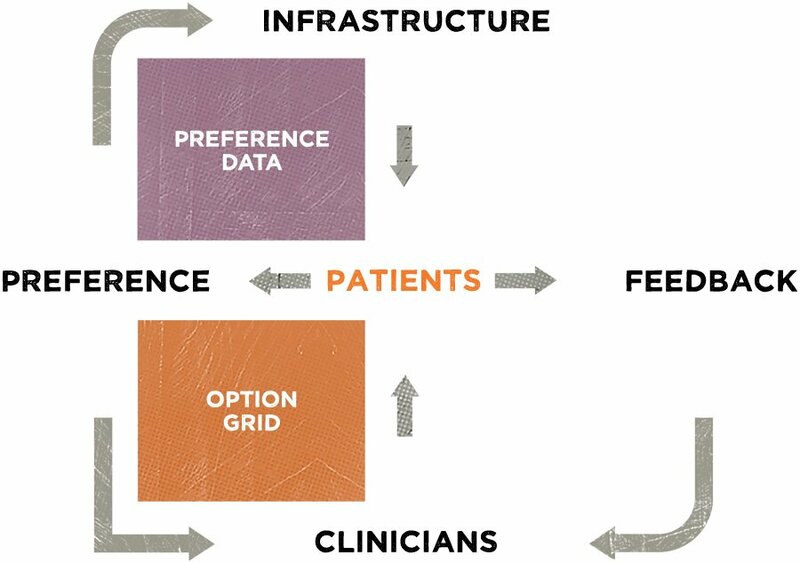 Together, this suite of tools provides the foundation for a dynamic system that reacts to the behavioral economics of health—that is, one that accepts the individuality of all patients and gives them the resources they need to get the type of care they want. 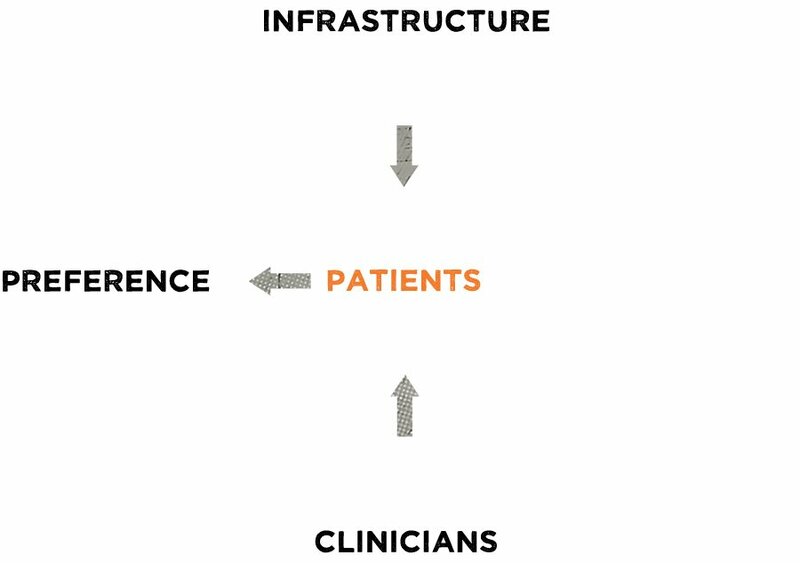 The tool we’ve developed for this is called “IntegRATE.” It is a measure of how cohesive and well-integrated a patient’s care is, from the patient’s perspective. The next step is to provide feedback to the CEOs and those in charge of the way care is structured about how well patients understand who is responsible for what aspects of their care experience, and where they need to go for different kinds of help. In other words, we need to find a way to determine whether or not the system is effectively triaging patients in a way that makes sense to them. For that we’ve developed a tool called CollaboRATE. It’s a simple but effective survey that measures whether or not clinicians are truly engaging in shared decision-making. 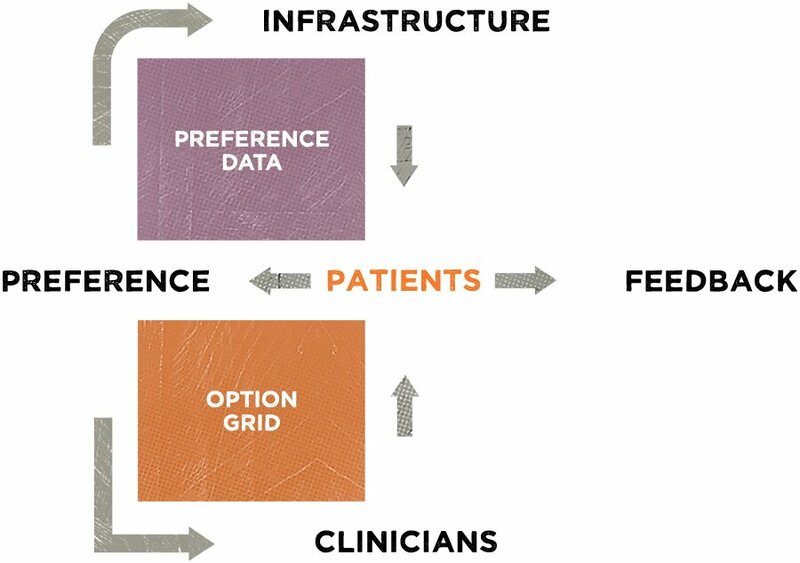 The first task is to develop a tool that allows us to figure out whether providers are actually eliciting patient preference and using it as part of the decision making process. We monitor the outcomes. 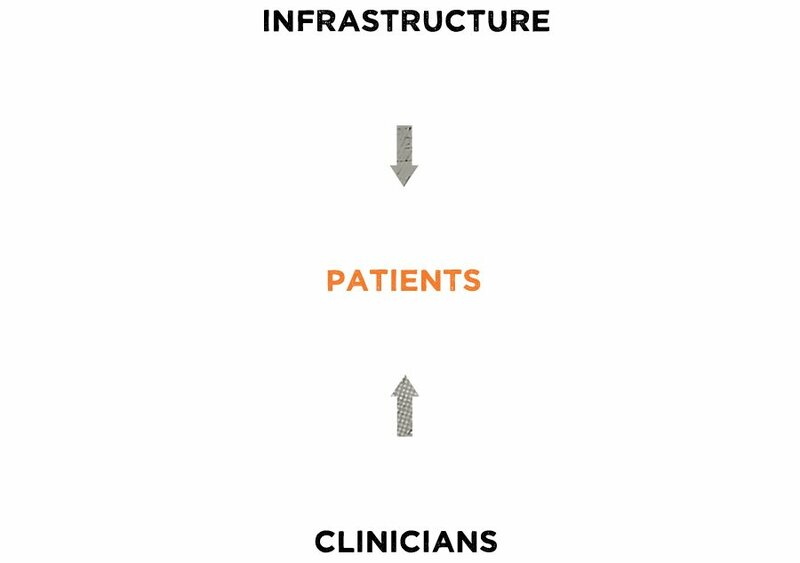 In order to build a truly adaptive system, we have to monitor the way providers, patients, and infrastructural elements are interacting. 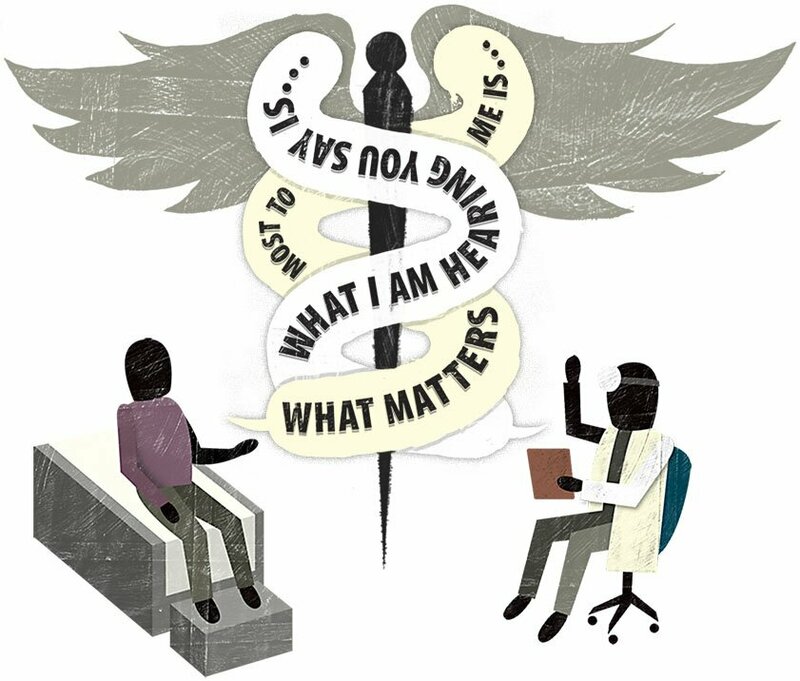 In this case, we need to receive feedback from the patients themselves, because they’re the ones for whom the system is being built. Still, even once those data are in the hands of those who need it, we can’t ensure that the system is actually responding appropriately. Nor do the data help us understand what effect infrastructural changes are having on the patient experience. So how do we make sure the system actually adapts? 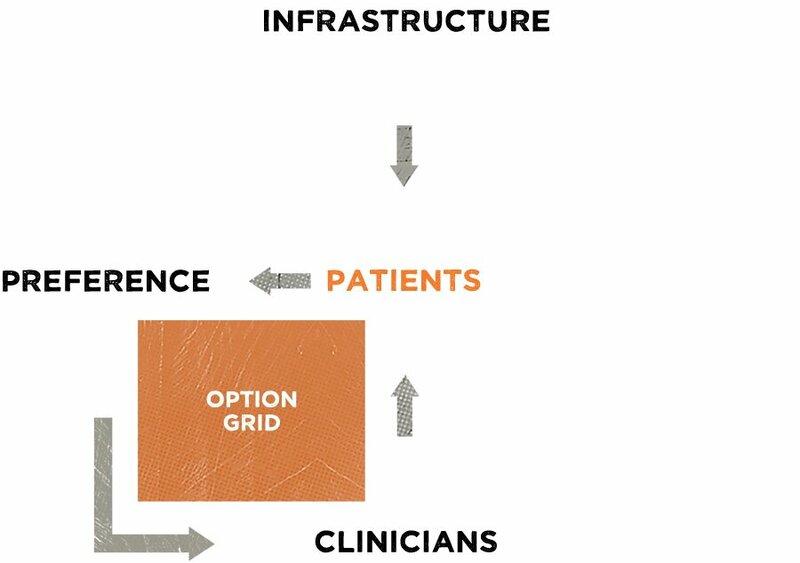 Using the data gathered from the use of Option Grids, we can start to compile information on patient preferences that will help inform the sorts of infrastructural components the health care system should be focusing on. 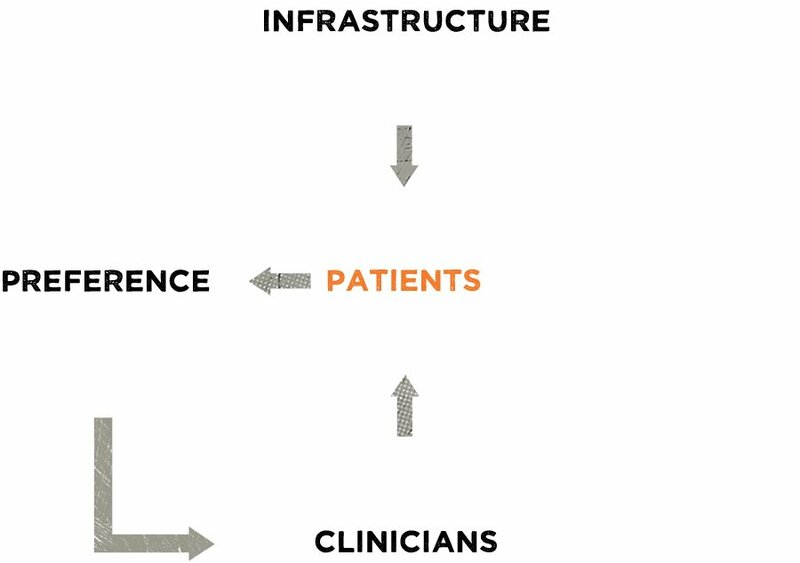 The conversation between providers and patients, though, doesn’t solve the problem at the infrastructural level. If the preference data never gets to CEOs, hospital administrations, research labs, and manufacturers, they’ll all still churn out unnecessary equipment, facilities, and specialists. Certainly they’ll be innovating, but not necessarily in the right direction--we have to deliver preference data to those in charge of infrastructure. But how? That’s what our first tool, the Option Grid, is for. 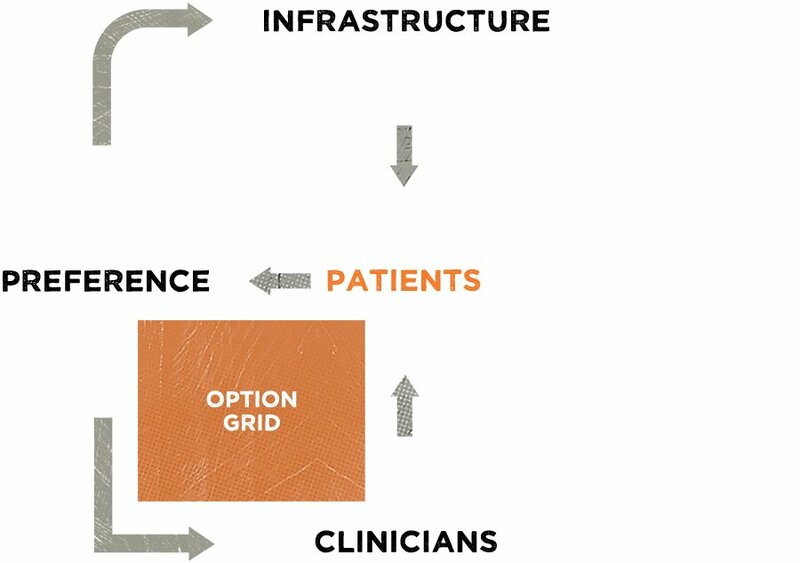 Option Grids are clear, understandable comparisons of the best treatment options for any given health decision. 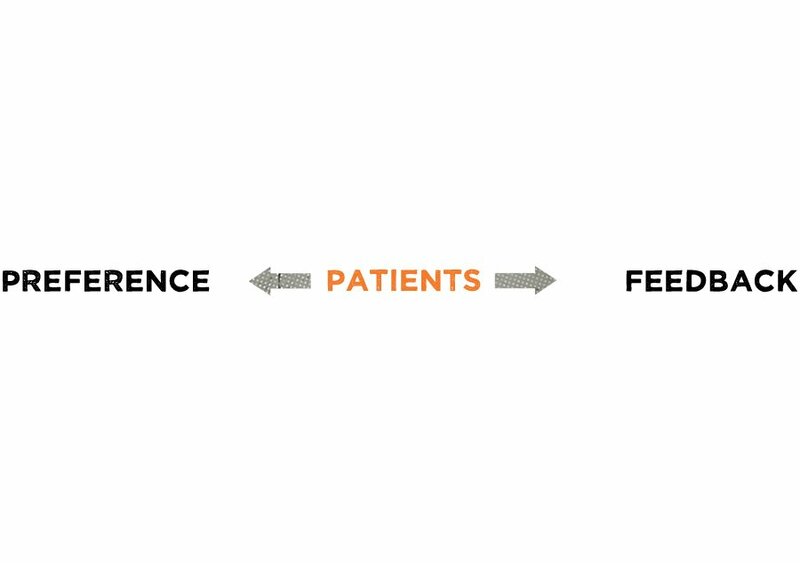 They’re meant to be used by patients and providers alike as a way of starting a conversation about what treatment is right for that specific patient. They do this by presenting an easily-readable, side-by-side comparison of answers to frequently-asked questions about the treatments. It’s not that simple. 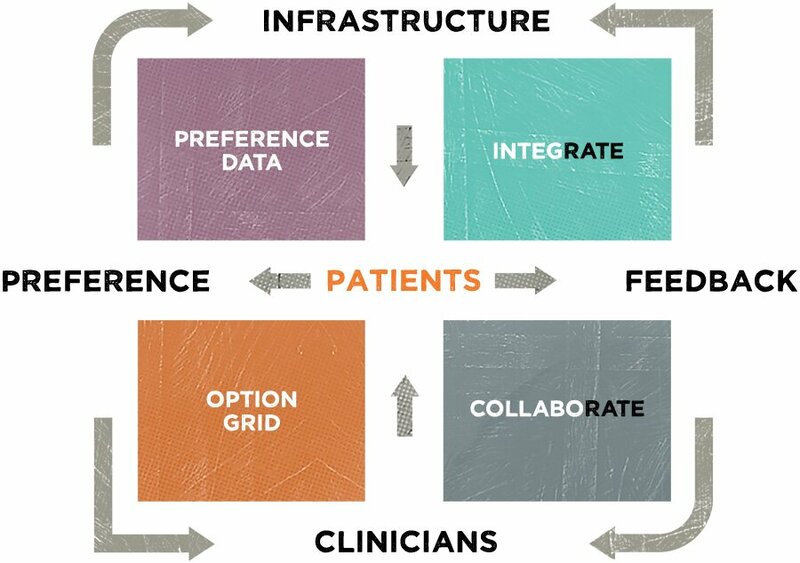 We want patients to communicate their preferences to their clinicians, and we want clinicians to truly consider this information. But in order for “preference data” to be useful, clinicians need to know that patients know enough about their conditions and the available treatments to really understand their own preferences. ...and then we get their doctors to listen to them. Without knowing what patients want, we can’t possibly build a health care system that works for them. Despite innovations both at the provider and infrastructural levels, the system is static. It relies on impersonal assumptions about what patients need and want, and that results in a lot of waste. Imagine a grocery store that paid no attention to which items were selling well and which were selling poorly—it would get its orders all wrong and waste much of its food. Or imagine a grocery store that sold only the healthiest, most expensive foods, even though many of its customers couldn’t afford them. In both of these scenarios, the amount of wasted resources places a huge pressure on the stores, and, eventually, both declare bankruptcy. This is a simplified version of what our current national health care system looks like. Typically, clinicians and infrastructure — hospitals, procedures, equipment — happen to people. We go to the doctor and the doctor tells us what’s wrong with our bodies and what we should do. We go to the hospital and the hospital administers a procedure. This illustration will show you how the simple (or not-so-simple) tasks of eliciting preference and gathering feedback can change the culture and structure of our healthcare system.